As we approach the end of the year, we all have time to reflect on the last 51 weeks. There are things we are happy about, things we are sad about, and maybe things that we wish we could change. But every year we are reminded that we don’t have control over many of the things that happen throughout the year, only the way we react to those things. Often, we find ourselves wanting more, comparing ourselves to others, and sometimes wishing we could be somewhere else. This is why the affirmation is so powerful. “This, or something better” is a statement of surrender, acceptance, and anticipation of improving circumstances. First, you surrender to what is and accept that you are where you are. Then, you affirm to God, the Universe or whatever you believe in that you are open to things improving. You are open to things getting better. You expect to have a better year than the last one. My fellow litigators, you have worked hard this year. 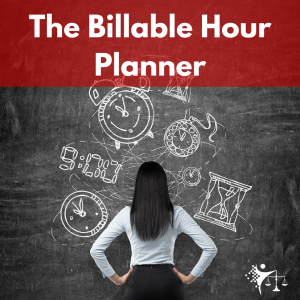 You billed a lot of hours, spent a lot of late nights and weekends toiling away at work product that may or may not have had a difference in the ultimate outcome of a case, and lost sleep over a client that may or may not have appreciated your work. Yet, here you are, at the end of the year, ready to start anew. Affirm to yourself that this is what you love to do and that you will continue to improve as you reset the clock and start billing hours in 2017. And remember that your life is more than just the hours and more about the experiences, the connections and the rush you get when you’re doing what you love to do.